Alcohol withdrawal syndrome, also known as AWS, occurs when a person abruptly stops drinking after a prolonged period of time. 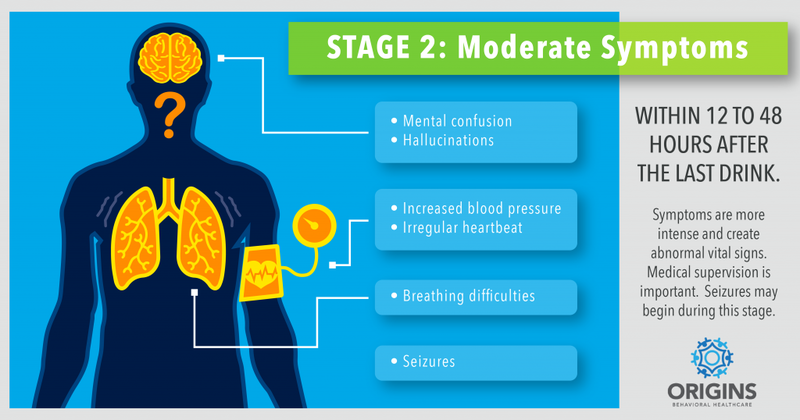 Symptoms of AWS can range from mild to serious. 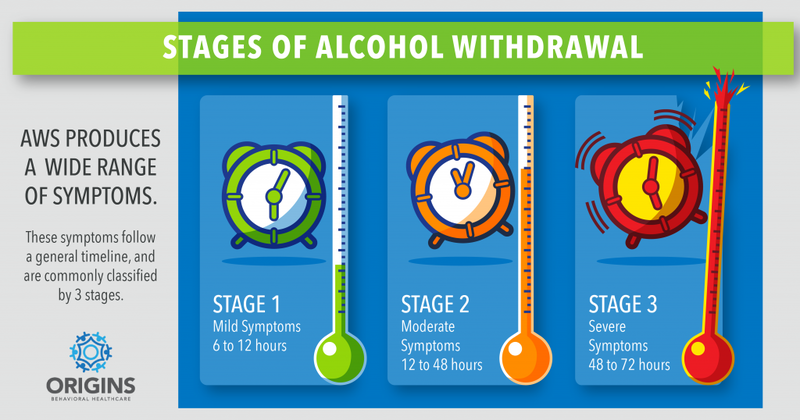 Because alcohol is a legal and socially acceptable drug of choice for many Americans, the withdrawal process is often misunderstood. In this post, we answer some of the frequently asked questions about alcohol withdrawal. 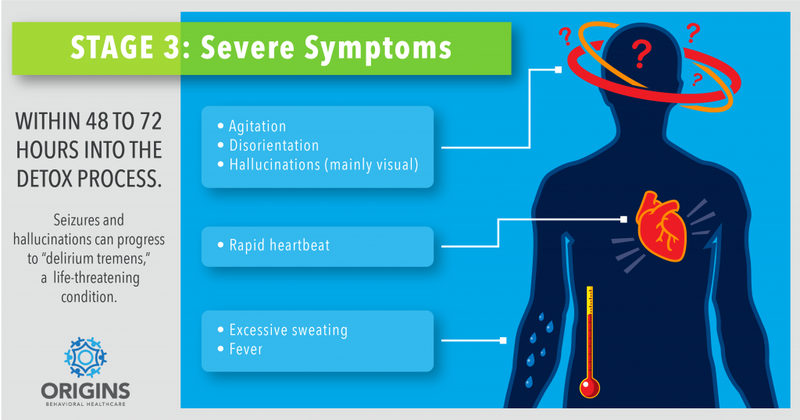 AWS produces a broad range of symptoms which follow a general timeline. 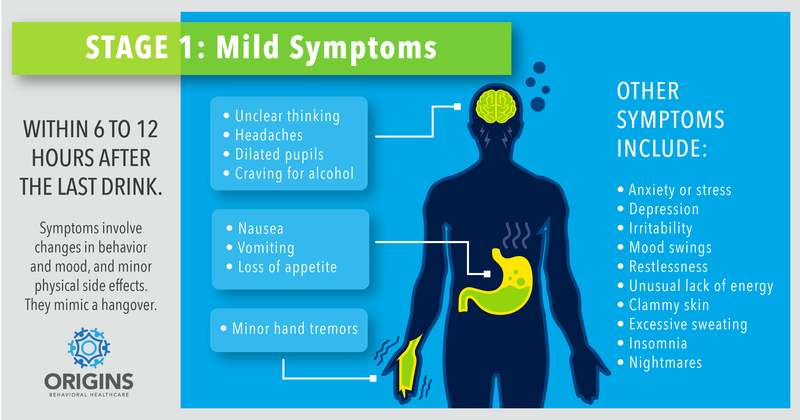 These symptoms begin between 6 – 24 hours after the last drink and can range in severity. The severity of AWS is commonly classified into three stages. This is only a rough timeline and it is important to note that withdrawal symptoms may vary from person to person. Today, many professionals prefer to use the CIWA to determine overall severity rather than rely on stages as a framework for understanding withdrawal. Either way, do not attempt to diagnose yourself. Alcohol withdrawal is a serious condition that may rapidly become life-threatening. Not everyone experiences withdrawal in the same way. This is why immediate and longer-term care is indicated for those going through detox. Medical professionals are trained to monitor and safely treat withdrawal. What Factors Influence Alcohol Withdrawal? People who drink infrequently are not likely to develop withdrawal symptoms, with the exception of hangovers. 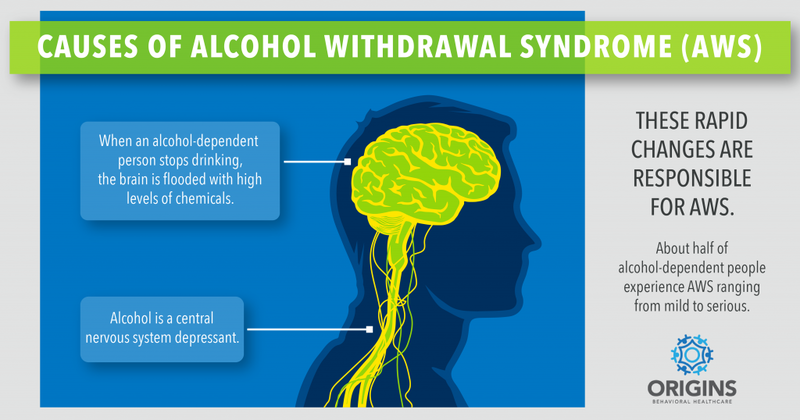 People who drink daily or multiple times per day and more likely to experience withdrawal symptoms. It is important to discuss the frequency of use with the doctor overseeing the detox process. When doctors treat alcohol withdrawal, it is important that they know the patient’s complete medical history. This history includes any mental disorders (such as anxiety and depression) as well as medical complications (such as high blood pressure). Doctors will also take family history into account. Be sure to provide this information. The use of more than one substance at a time is called polysubstance use. The use of other drugs can influence the withdrawal process. Honesty is important when discussing your case with a doctor. Be sure to discuss all drugs you have been using when beginning the detox process. The first step of detox is to monitor the symptoms of withdrawal. This is determined by a thorough medical assessment. From there, doctors are able to effectively control and stabilize these symptoms. Medical detox may involve the use of medications that treat symptoms like nausea, dehydration, and seizures. Though not recommended for people in long-term recovery, benzodiazepines are the most commonly used drugs for reducing the effects of withdrawal on the central nervous system. Doctors can ensure that these medications are administered properly, in the right dosages, and at the right time. These medications should be discontinued when detox is completed. Quitting alcohol “cold turkey” is never recommended without medical supervision. Though detox can end the initial symptoms of withdrawal, detox is only a starting point for recovery. The physical, psychological, and spiritual effects of alcohol use can continue long after detox. Without proper treatment, those with the disease of alcoholism will be unlikely to stay sober for good. This is why the National Institute of Drug Abuse recommends more than just supervised detox. The most successful recovery outcomes occur when patients receive a minimum of 90 days of care. This can improve the chances for recovery. No matter how long a person has been drinking, remember that recovery is possible. Entering detox can be scary. If you or someone you love needs help to overcome addiction, don’t remain silent. 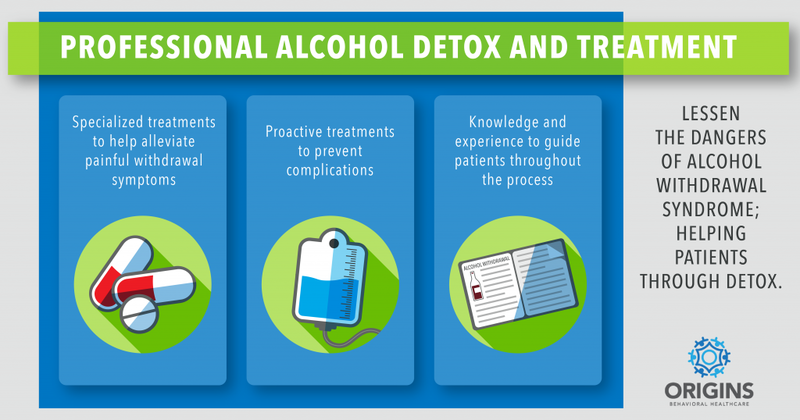 Medical professionals can help ensure a smoother, safer detox process. They can be the first hand that helps transition a person from fatal illness to a life of freedom.